During the recent skiing holiday that I reported in the largely pictorial post – Paradiski is paradise a wonderful week! 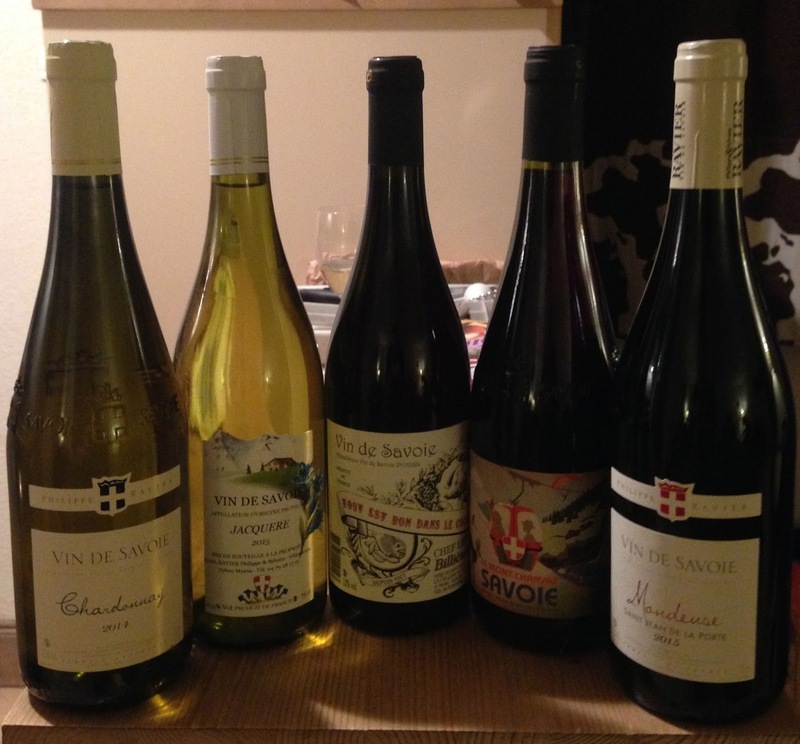 – we had an evening where we went through a range of the Savoie region’s wines. The selection is pictured above and I am far from an expert on these wines, in fact I know embarrassingly little. Jacquere 2015, Philippe & Sylvain Ravier – I have to assume that Jacquere is the variety (please tell me if you know). The alcohol was a cool 11.5% and the wine was clearly very primary and young, no oak. There was that note of peardrop, all in all it was crisp but a touch neutral. Good uncomplicated summer lunchtime drinking. Chardonnay 2014, Philipe Ravier – 12.5% alcohol. This is richer with more texture and intensity, quite Chablis-like in its purity and tautness. Again no oak and very easy to drink. Nice. Tout Est Bon Dans Le Cochon, Chef Lieu Billieme NV – however hard I looked I could not find any mention of a vintage on the bottle and also the internet seems little help in finding any info on this wine. It was very thin, crisp and light, summer picnic wine, almost a red rose in style. There is a lack of ripeness and a marked grapefruit note. Le Mont Charvaz Savoie, Le Cellier du Mont Charvaz – I wanted this to be good for no more complicated reason than I love the label! It was Pinot like with a slightly green fruit, raspberry in good moments. Nice enough if not special. 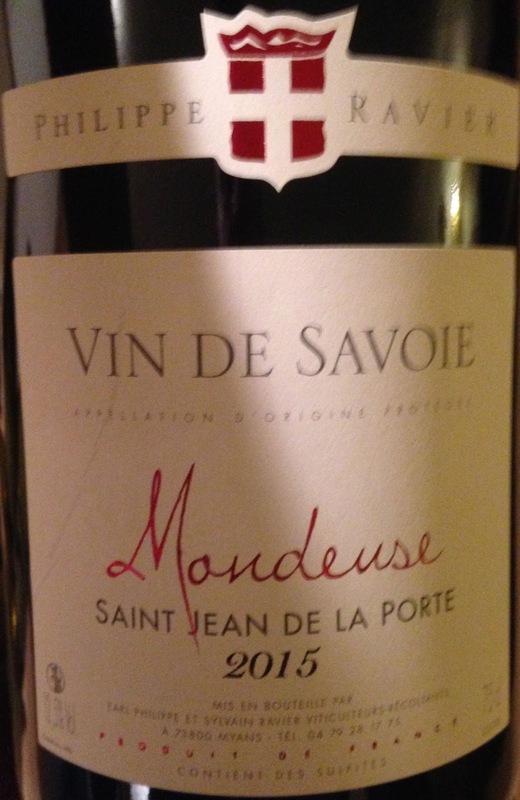 Mondeuse Saint Jean de Porte 2015, Philipe Ravier – This was unanimously the winner on the night; fuller, more fruit, more concentration a lovely little bit of Rhone-like spice but still managing to be fresh and true to the altitude. I’d happily drink a fair bit of this. Will keep an eye out for Mondeuse in future! And that’s that – they all got drunk (the bottles that is!) which is what matters. I just remembered I did one other slightly similar – Skiing related wine post.